I once had a professor in an international horror class who gave an entire lecture arguing the merits of VHS tapes over DVD or high definition quality playback. I’m sure this was largely in part of his age; having experienced each of these modern classics through grainy film images, this was what he felt nostalgia for. In some respects, I could understand where he was coming from. We are spoiled these days, consumers of cutting edge technology which puts even more pressure on modern filmmakers. Seeing older films in pristine condition is a wholly new concept for cinephiles. Before VHS there were few options for seeing an older film, regardless of quality. The best chances were theaters which had an old print to play, often scratched and worn from many trips through various projectors across the country. 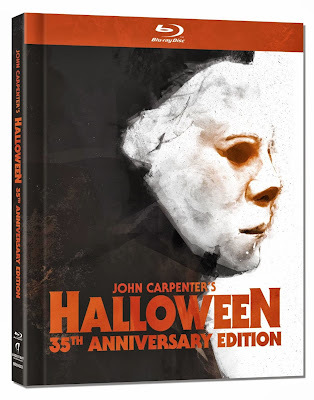 Every time I viewed Halloween prior to this 35th Anniversary Edition Blu-ray release, it was difficult to see what was happening in some of the darker sequences of the film. Say what you will about the nostalgia of scratched and blurry film, but this version of Halloween allows us to see the immaculate photography by Dean Cundey and each of Michael’s background appearances in the first hour of the film. Some films are based upon ideas so brilliant that it seems impossible for them to fail. 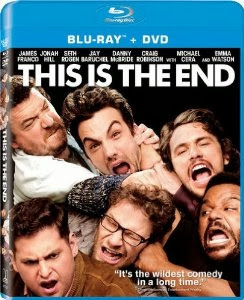 This seems exactly the case with This is the End, and I would agree that it is far from a failure of a film, but that ingenious initial concept is also a double-edged sword as anticipating audience members may be slightly disappointed by the potential wasted. Part of the problem may also be the film’s strength, with a lack of focus in filmmaking which no doubt comes from the amount of material where the stars allow vanity to take over. However self-deprecating the humor may be, they also over-estimate the audience’s interest in watching nothing but these actors talk about themselves for a large portion of the film. The film begs one simple question: what would happen to all of the celebrities if the biblical end of days began while James Franco was having a party? The actors all play themselves in this satirical apocalypse comedy, and it seems that nobody working in Hollywood will be taken to heaven if the rapture were to occur. All of the regular members of the Judd Apatow clan are present (although he has no attachment to this project), many of which have fun playing themselves before meeting a final demise. The cast of Superbad has a coke-fueled reunion by the pool with a particularly hilarious Michael Cera, Jason Segal unenthusiastically discusses his role on “How I Met Your Mother,” and Martin Starr hangs out in the background. Most are only around long enough to make an appearance and die, although Jonah Hill, Seth Rogen, Jay Baruchel, Danny McBride and Craig Robinson all manage to hole up with Franco in his impressive new home. From Here to Eternity is a film filled with old Hollywood legends and rumors, some true and other not, but all have had an impact on the film’s longevity beyond the cinematic story. Shot in a mere 41 days, this Fred Zinnemann adaptation of the James Jones novel became a surprise hit that swept the 1953 Academy Awards with eight wins and revitalizing effects on the career of its stars. Frank Sinatra was at a low point in his career at this point, and the non-singing role earned him a Best Supporting Actor award. There were a lot of unexpected casting choices within From Here to Eternity keep this film a beloved classic even sixty-years later. The film follows the melodrama unfolding on a Hawaiian military base in December of 1941, leading up to the inevitable attack on Pearl Harbor. Sergeant Milton Warden (Burt Lancaster) treads dangerous water when he begins a passionate affair with Karen Holmes (Deborah Kerr), the wife of the sinister Captain Dana Holmes (Philip Ober). Captain Holmes is too distracted attempting to bully former boxer Private E. Lee Prewitt into fighting again. Private Prewitt also fall for a social club employee named Lorene (Donna Reed) and befriends another soldier being bullied by superiors, Angelo Maggio (Sinatra). 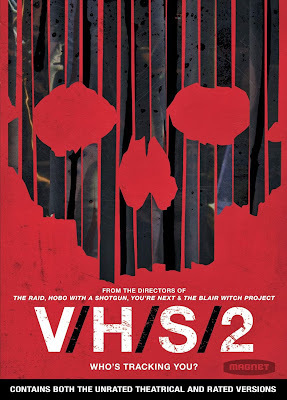 I know it was silly for me to expect more from VHS 2 than the original film, but the only relief in this sequel is the minimized sexual abuse against women in the storylines. The structure of the film is as weak as the original, with a premise that is creepy until the acting reminds us what we are watching isn’t real, but the actual shorts segments making up the film are even more disappointing. As with the original film, there are just enough moments that are praiseworthy to highlight how awful and unimaginative the remainder is. 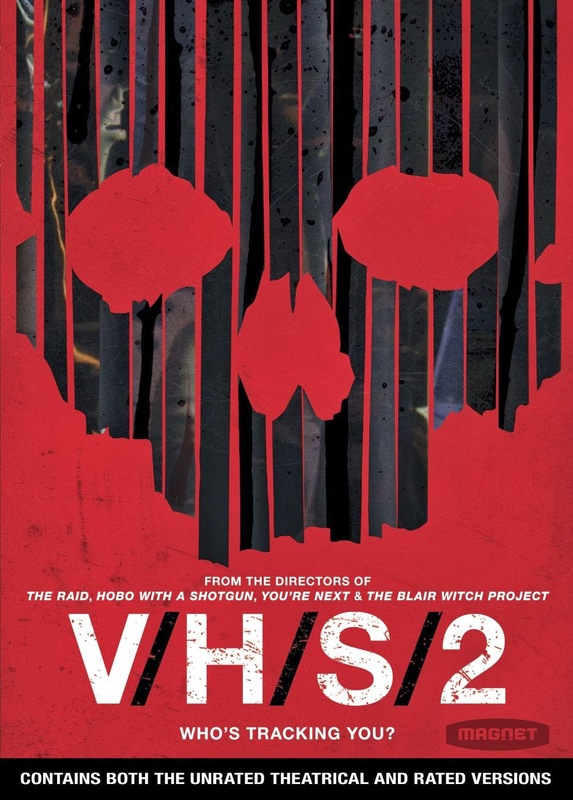 Seven directors combine efforts for this anthology horror film, based on the premise of found footage VHS tapes which have deadly consequences when viewed in the correct sequence. In fact, many of these shorts are hugely unoriginal apart from the creativity of making the narrative work within the found footage format. With the frequent use of cameras in our every day existence, whether it is attached to our phone or sporting equipment, this premise makes sense if it weren’t for the fact that the films are all meant to be on the outdated VHS tapes. This conundrum aside, most of these short films are a bit too safe to even be memorable. There are some exceptions, which is what makes these films so painful. I can’t recommend a film which has about fifteen minutes I loved and over an hour of material which is duller than it is despicable, as was the tendency in the first film. Here are the segments, for better or worse. In a segment directed by Adam Wingard (You’re Next) called “Phase I Clinical Trials,” a man gets an implant in his eye with the technology to also include a bonus camera for the scientists to watch and the audience to participate. Although Wingard seems to be making a gigantic stylistic wink at Gaspar Noe’s Enter the Void, this is not a horrible choice to make in creating an unsettling atmosphere. “A Ride in the Park” is directed by Greg Hale and Eduardo Sánchez (The Blair Witch Project) and is easily the weakest in the bunch. It is a zombie short without much inspiration. “Safe Haven” is a film about a revealing expose into an infamous cult, directed by Timo Tjahjanto and Gareth Evans (The Raid). “Slumber Party Alien Abduction,” directed by Simon Barrett (Hobo with a Shotgun), is the most fun and frightening in the bunch, despite merely being another alien abduction storyline. The visuals and the abruptness with which things occur made this the most effective in the group of shorts. The DVD special features include a behind-the-scenes featurette for each of the segments, as well as a look at the entire film by AXS TV, a behind-the-scenes photo gallery and a commentary track with the filmmakers. There is plenty of awful in Zombie Hunter, but nothing is quite as annoying as the film’s cover art. With Danny Trejo’s picture in full focus and his name over the title, you would naturally assume Trejo to be the title character, but is instead just a passing bloodstain in this unintentionally humorous horror action film. Any film clinging to the celebrity of one of the bit players in order to be more marketable worries me. Zombie Hunter is 93 minutes of cheesy acting, effects and one-liners. Aside from the handful of shots with Trejo alone or shot from below to make the actor look taller than he actually is, Zombie Hunter focuses on the base elements of B-filmmaking, including a heavy dose of breast-flaunting women. Though this is yet another end-of-the-world zombie movie, it shares more in common with the Resident Evil franchise than anything else, complete with inexplicable morphed zombie creatures. Our title character is a gravelly-voiced narrator with something of a Road Warrior complex, mowing down zombies as he travels a solitary path. When he comes across a group of survivors, they band together to fight the zombies and whatever other elements of danger there are. This includes a man dressed as a clown who enjoys killing anything that crosses his path, zombie or human. Imagine “The Walking Dead” without any of the smart storylines, good special effects or characters you care about, and you would still have a zombie tale that is ten times more engaging than this film. 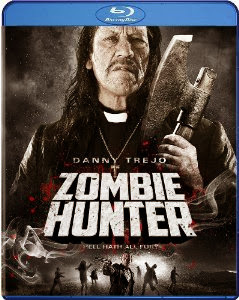 More than anything, Zombie Hunter feels as though it wants to be a Robert Rodriguez movie, if only for the mere fact that Trejo has a few scenes to do what he has done moderately well for at least a decade. Roberto Rossellini is considered the godfather of Italian neorealism, having inspired the movement with his internationally successful Rome Open City (1945). This film and his next, Paison (1946), utilized the bombed out cities devastated by World War II in order to make films with real locations rather than sets. They also often used non-actors for the roles, so many saw it as a betrayal when Rossellini began working with Swedish actress turned Hollywood star, Ingrid Bergman. The professional relationship quickly became a romantic one, though never entirely private. The gossip about their relationship may have tainted audience perception at the time of release, or perhaps it was more of the stylistic departure that Rossellini had taken, but these three films are much more highly regarded today than they were initially received. The romantic and professional partners in film collaborated on six films together, with the three most notable included in this fabulous box set. Stromboli, Europe ’51, and Journey to Italy have more in common than simply the star and director, also pairing together quite nicely as a trilogy of films about the difficulties of marriage. Stromboli (1950) is a bleak drama about a woman who is literally trapped in her marriage, stuck on a volcanic island with a man whom she married as an escape plan. In her first collaboration with the Italian filmmaker, Bergman plays a Lithuanian refugee who marries an Italian fisherman (Mario Vitale) as a way of leaving the prisoner of war camp she is trapped in. Unaware that she is trading one prison for another; her husband takes her back to his isolated village on a volcanic island off the coast of Sicily. What begins as a marriage of convenience becomes a cruel trap for both parties. Europe ’51 (1952) plays down the aspects of marriage compared to the other two films in this set, though it clearly shows a breakdown in familial bliss when the bourgeois ideology of consumerism is not enough to keep the family together. The movie begins with a dinner party which has a couple of socialites too preoccupied to tend to their needy child. When this neglect leads to a suicide attempt and subsequent death, the child’s mother, Irene (Bergman), is forced to look at the world differently. Suddenly aware of the suffering around her, Irene becomes dedicated to a self-sacrificial lifestyle which inevitably leads to her demise. The final bleak message of the film is that too much generosity and good will may be construed as mental illness in the world we live in. Journey to Italy (1954) was the most commercially viable of Rossellini’s collaborations with Bergman, charting the decline of marital bliss between an English husband and wife (Bergman and George Sanders) on a road trip in the country near Naples. This is also the film which receives the most attention in this set, with a second disc exclusively for the supplements while the other films had only one. All three movies are presented with digital restoration and the original monaural soundtrack. Stromboli is presented with a 4K digital restoration, and also has a 2K digital restoration of the Italian-language version, Stromboli terra di Dio. Europe ’51 is also available in two versions: a 2K digital restoration of the English-language version and a high-definition restoration of the Italian-language version, which is 9 minutes longer and a different cut of the same material. There is only one version of Journey to Italy, presented with a 4K digital restoration and uncompressed monaural soundtrack. All three films come with an optional introduction by Rossellini, as well as a plethora of other features with film critics and filmmakers alike praising the collaborations between these two international legends, including new interviews with film critic Adriano Aprà. Stromboli also has a making-of documentary from 1998 and Europe ’51 has a new interview with film historian Elena Dagrada on the alternate versions of the film. Journey to Italy has a commentary track with film scholar Laura Mulvey, as well as new interviews from a handful of scholars and experts. 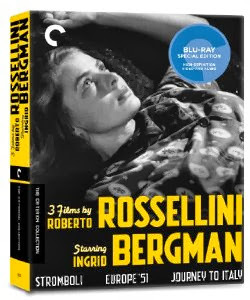 The second disc has even more, including an additional short film directed by Rossellini and starring Bergman, and a documentary about each of them. There are also more interviews with family members and some home footage. Terence Stamp heads up the cast as Arthur, a cranky old man who has become accustomed to his habits and routines with the only person he opens up to, his wife (Vanessa Redgrave). When cancer threatens to take that foundation from Arthur, she suddenly joins an elderly singing group. Arthur is pulled into the group, finding solace in the friendship of the group’s young teacher, Elizabeth (Gemma Arterton). 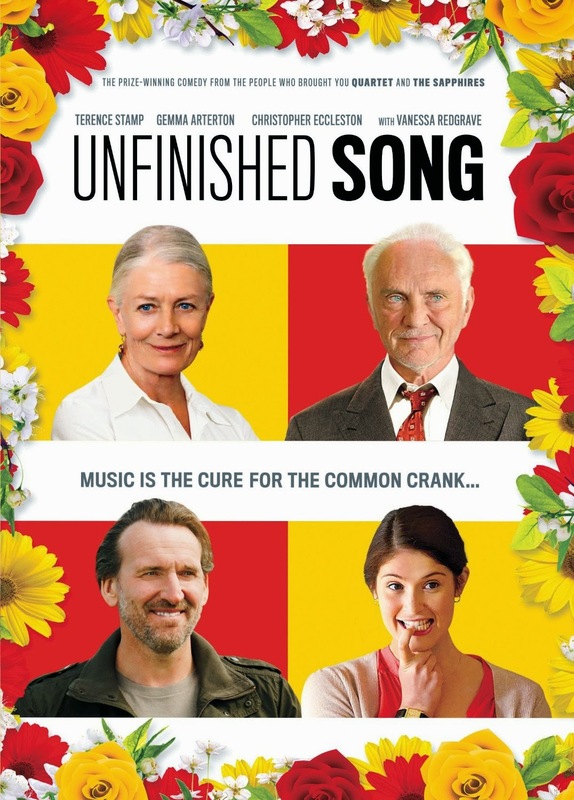 Unfinished Song is a film about grief, but manages to keep a light touch on the material. The music in Unfinished Song is simple but effective, never appearing too polished or unbelievable. There is more heart than talent in the voices, but that works wonders for the sincerity of the film’s story. We are not meant to be blown away by the vocal abilities, but instead get swept up in the openness with which they sing their song. 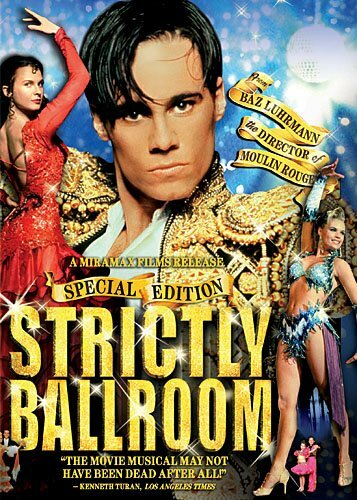 The DVD is sparse in terms of special features, including only a handful of deleted scenes and outtakes. 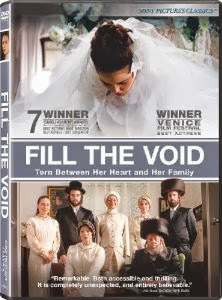 Fill the Void swept the Israeli Academy Awards, including four of the top awards. This is not entirely significant for international audiences unfamiliar with the year in Israeli cinema, but it does give weight to the appealing aspects of the film for foreign distribution. This is the type of film which is a revealing look at marital cultural traditions in Israeli, not unlike Ang Lee’s debut, The Wedding Song, did for Chinese culture. Though it is these unique traditions and specific methods of matchmaking which makes Fill the Void a marketable film, the human element at the center of the story carries the film further than simple cultural exploration. Carrying the emotional load of the film is Hadas Yaron, who stars as Shira, an eighteen-year-old put in an impossible situation. Yaron won Best Actress at the Venice Film Festival, as well as the Israeli Academy Awards, and it is her ability to capture the audience’s sympathy which has drawn comparisons to the work of Jane Austen. Shira is the youngest girl in her family and has just turned eighteen, which opens up a world of possibilities for marriage. 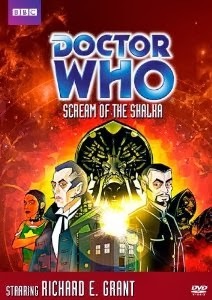 There are young men that are prospects for her, but this becomes somewhat insignificant when Shira’s older sister, Esther (Renana Raz), dies during childbirth. Esther leaves behind a child and husband, Yochay (Yiftach Klein), who must consider marrying a widow from Belgium in order to take care of his child. The option to have Shira marry Yochay in order to keep Esther’s child close to the family is one which plays out slowly through the course of the film. It is not a decision taken lightly, and we watch Shira come to full terms with the sacrifice she will be making by considering this option. American audiences may struggle somewhat with the politics and patriarchal control driving the marital plans within the culture, but it is helped a great deal by making Shira the ultimate deciding factor in the final outcome. 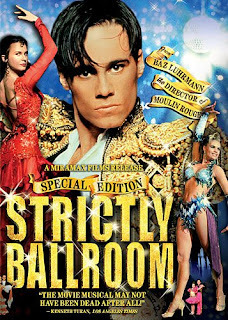 The DVD includes a commentary track with Hadas Yaron and writer/director Rama Burshtein, who also has a Q&A featurette. When director George Cukor made A Star is Born in 1954, it was his first musical and first full-color feature. The remake of 1937 classic was an undertaking which would reach epic scales. He knew that the film was too long at 181 minutes, and suggested to the studio that he could shave about twenty minutes if needed. Instead, the studio decided to release the film in its entirety. Had they simply allowed Cukor to make the cuts himself, film history might have been changed. Instead, after a poor opening, the studio rushed an editing job of the film which cut 30-minutes out of the film. Many blame this decision as the cause of Judy Garland’s loss at the 1955 Academy Award ceremony. 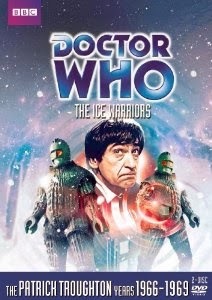 In the early 80s much of the footage from the original cut was restored. Although there is still five minutes missing, and some of the scenes are dialogue and production photos, but no footage remains of the scene. This Deluxe Edition DVD includes the restored version of the film, split onto two parts on a double-sided disc. 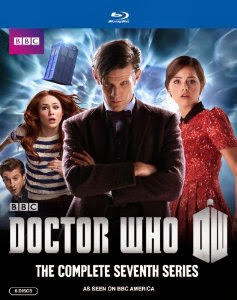 There is also a second disc with over four hours of special features. 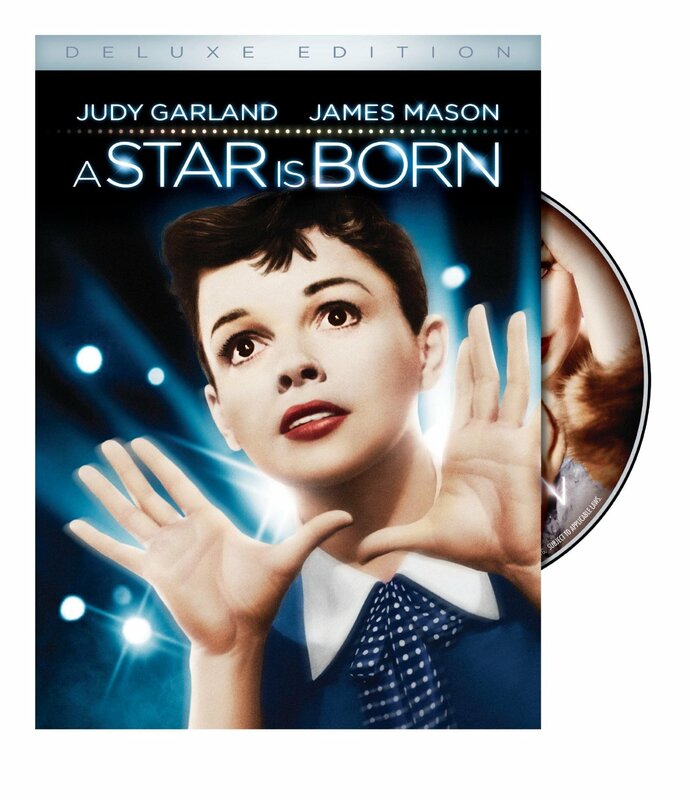 A Star is Born is a film with a fan base that remains over fifty years later, and the previously unseen deleted scenes and alternate shots/sequences won’t disappoint fans. The story follows the rise to success of Esther Blodgett (Garland), who becomes movie star Vicki Lester after her first preview screening. The rise to fame is due largely in part to movie star Norman Maine (James Mason), an actor with an alcohol problem threatening to kill his career. The melodrama of the traumatic marriage between a rising star and a fading one is interspersed between elaborate song and dance sequences, as Garland puts on a one-woman show.